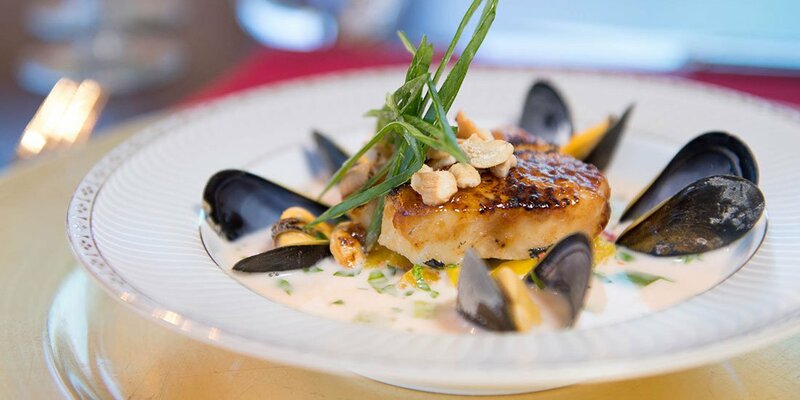 Dining on board the luxury barge Grand Victoria is a new take on flavor combinations for our guests to savor. We make sure your meals are delicious, wonderful experiences. Our formal dining room has an air of sophistication with dark brown wood tones and rich colorful hues that livens up the space while keeping it classy. We bring luxury to our table settings with fine dinnerware. Lenox French Perle dinnerware in soft hues are a graceful addition to breakfast. We bring the fresh feel of the French countryside to fine dining with Villeroy & Boch’s Artesano Provecal Lavender collection. The unique florals, Provencal designs, and colors add a natural elegance to our lunch table setting. An exquisitely elegant table becomes a dream come true with Waterford china and crystal gracing our full course dinner table setting. Let our private chef tantalize your senses! Our innovative menu infuses the simplicity of classic French cuisine with a modern twist and fresh ingredients. Our chef has created a menu that uses ingredients sourced from the Dijon Market, Grand Fresh Market, and local French bakeries, which is a good indication of the thought put into our gourmet meals. This emphasis on fresh and local ingredients imparts bold flavors into our dishes. Expect to find an excellent selection of meat from New Zealand lamb to Charolaise beef (the ultimate item on our fine-dining menu) making it the barge vacation in France tantalizing. Our dishes include scallops, salmon, and sea bass in addition to other tempting dishes. Meals are paired with a selection from our extensive wine list, boasting an inventory of Premier Cru Burgundy wine. The food has to be outstanding to compete with the wine! Vegan and gluten-free options are available as well. 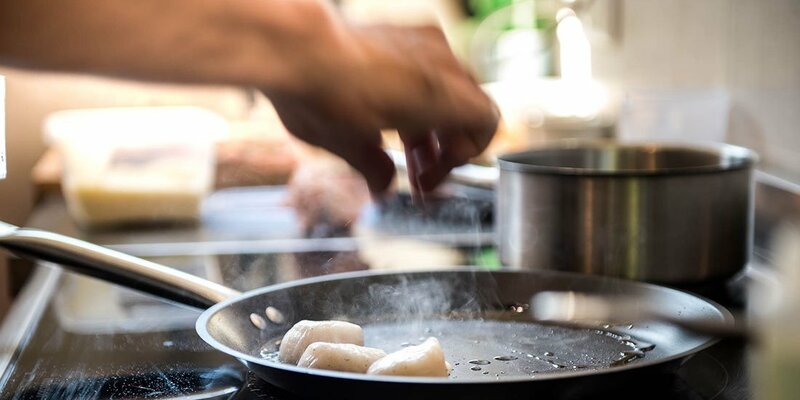 Our chef takes time to teach tricks of the trade with food demonstrations in our kitchen. Join him with a glass of wine and sample the arts of his craft.